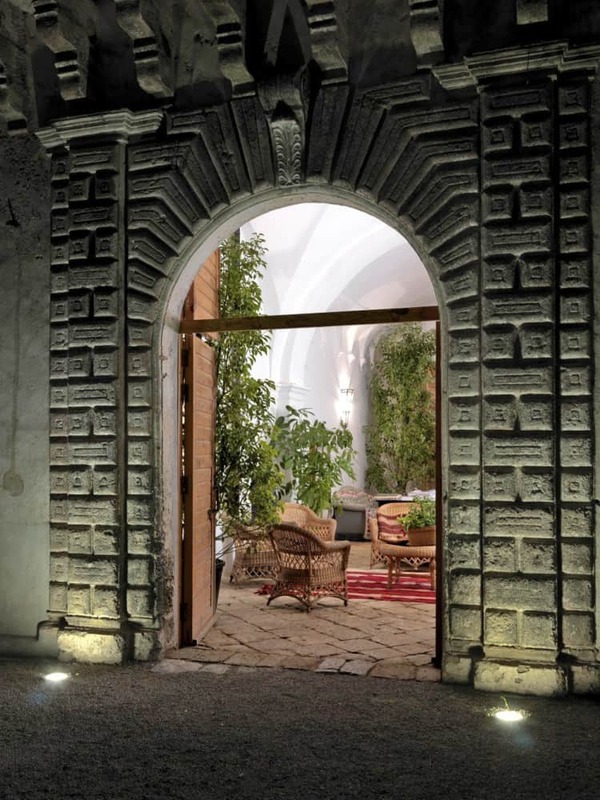 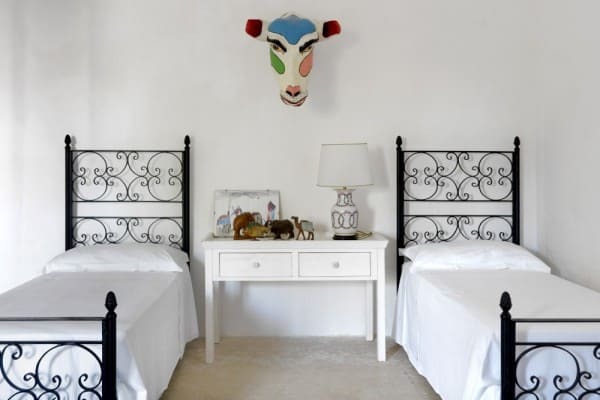 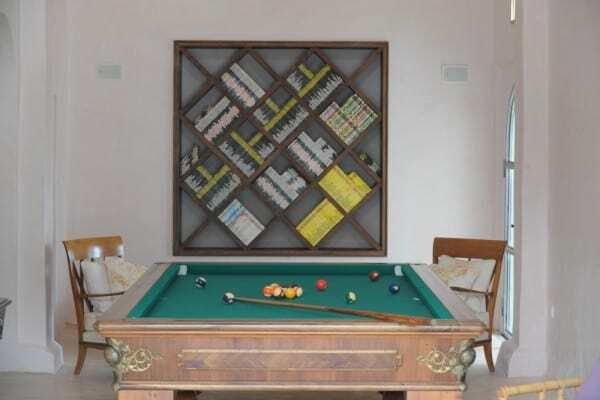 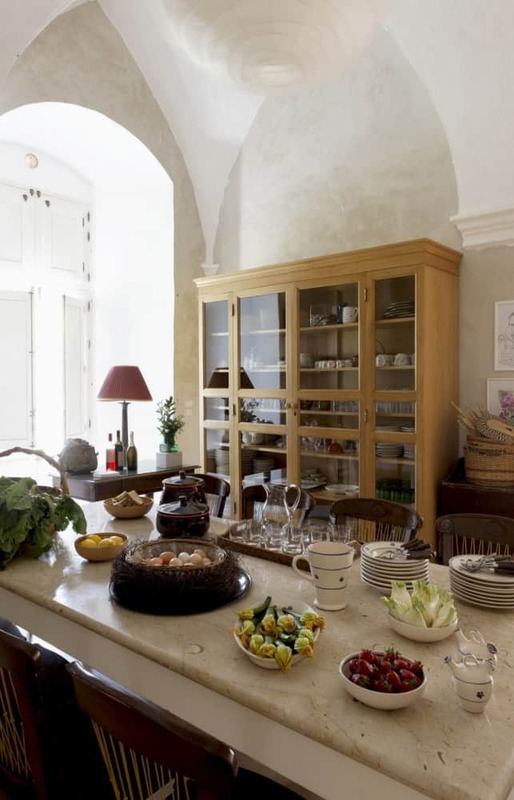 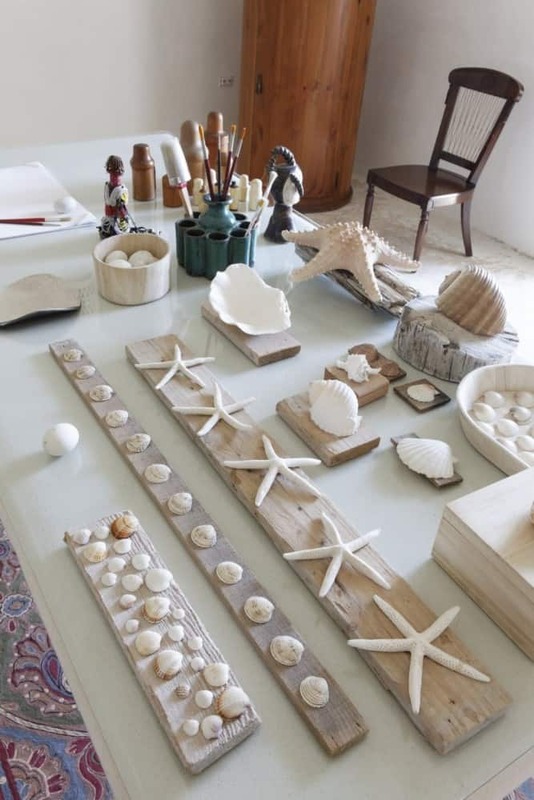 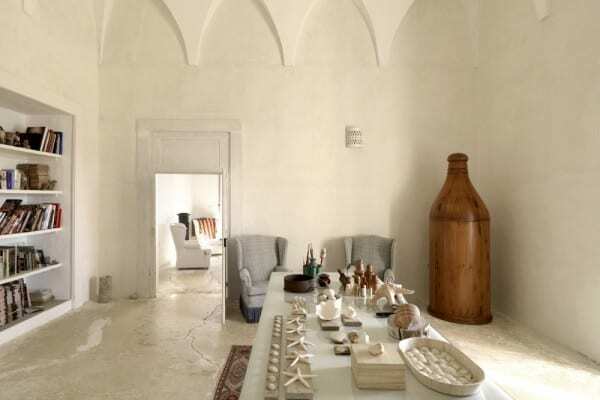 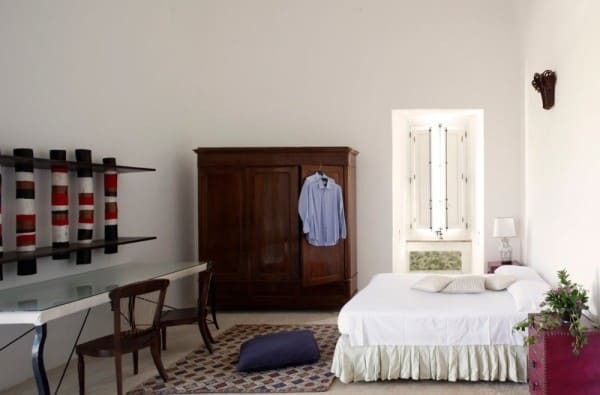 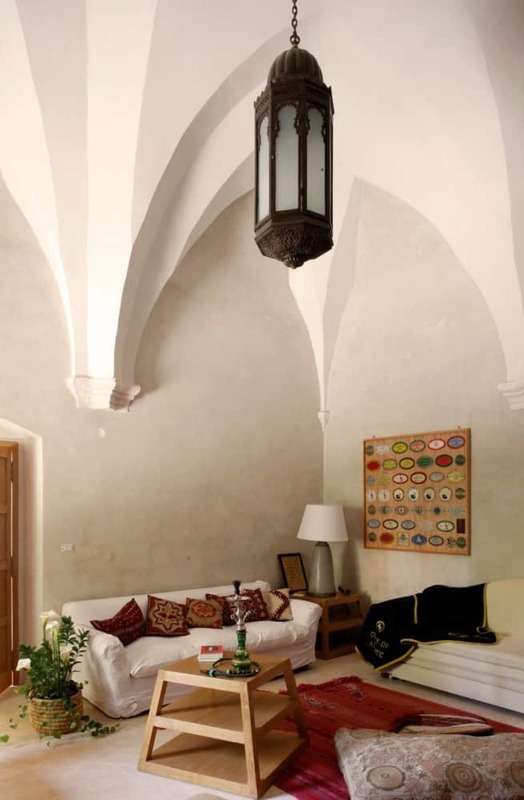 Just a short drive from the coast and charming towns, Villa Elia has recently been restored and refurbished to exacting standards in Puglia, Italy. 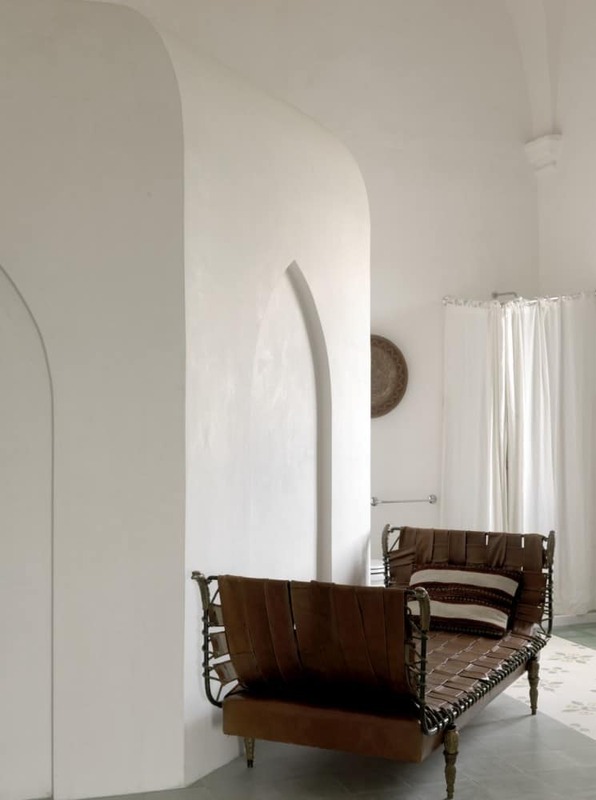 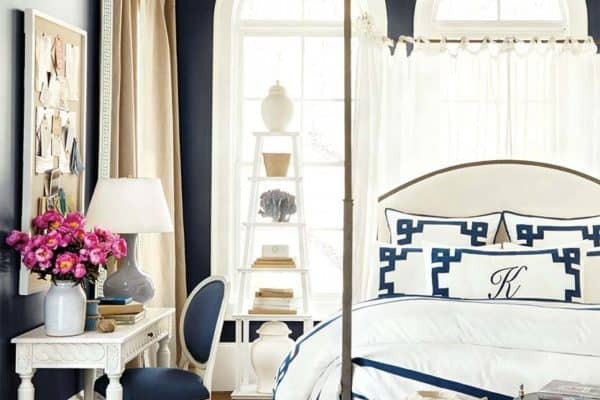 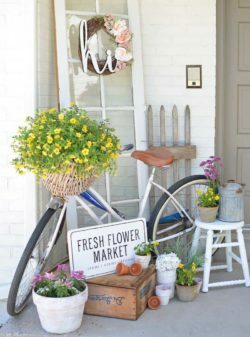 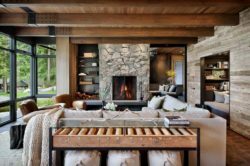 The interiors feature a very stylish blend of local, ethnic and contemporary pieces, many of which are originals from Brown’s Hotel in London. 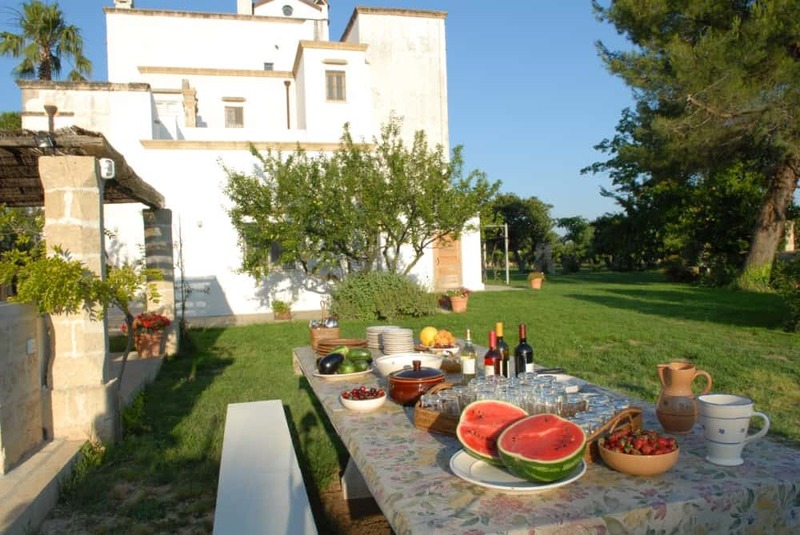 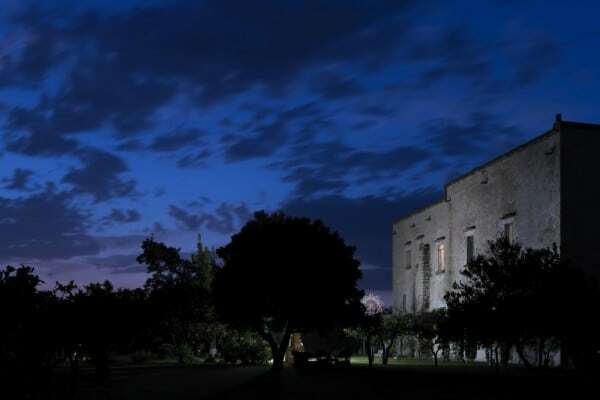 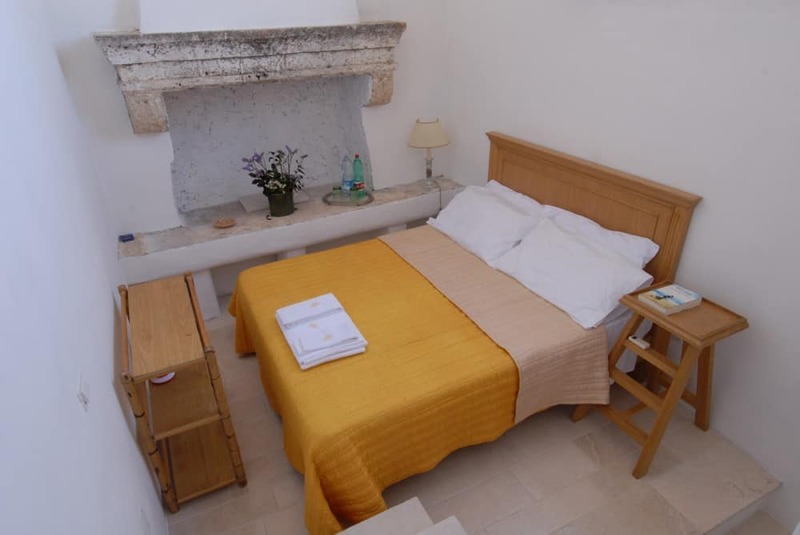 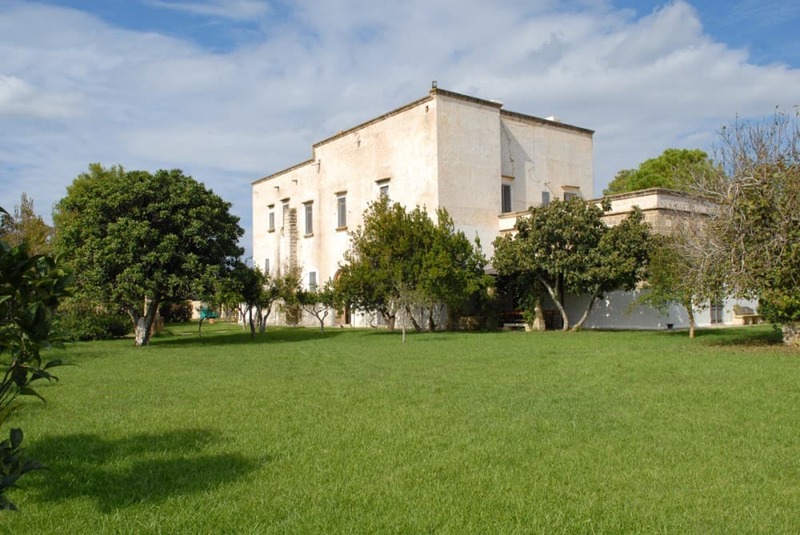 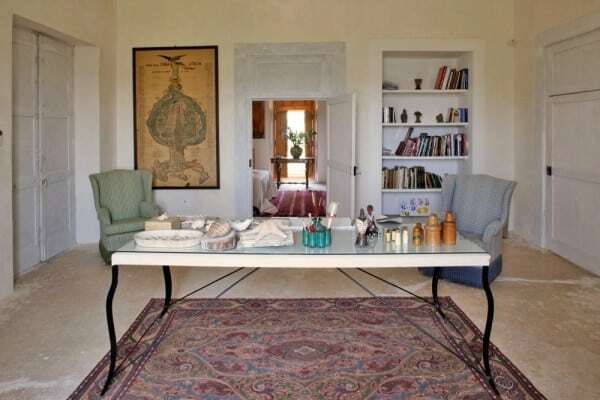 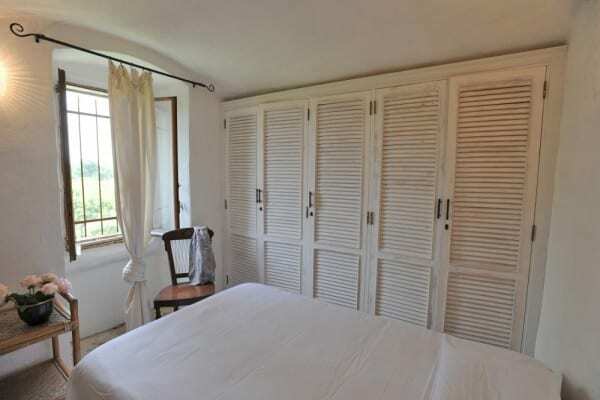 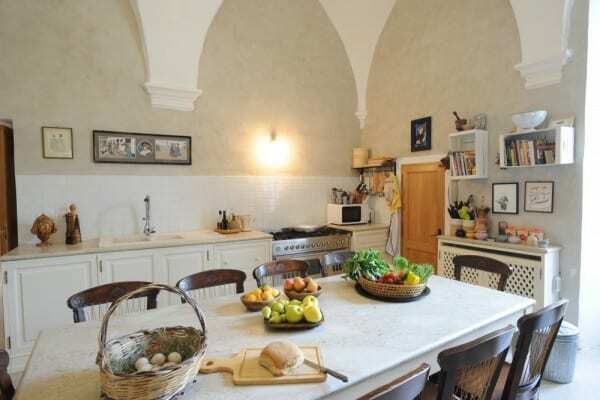 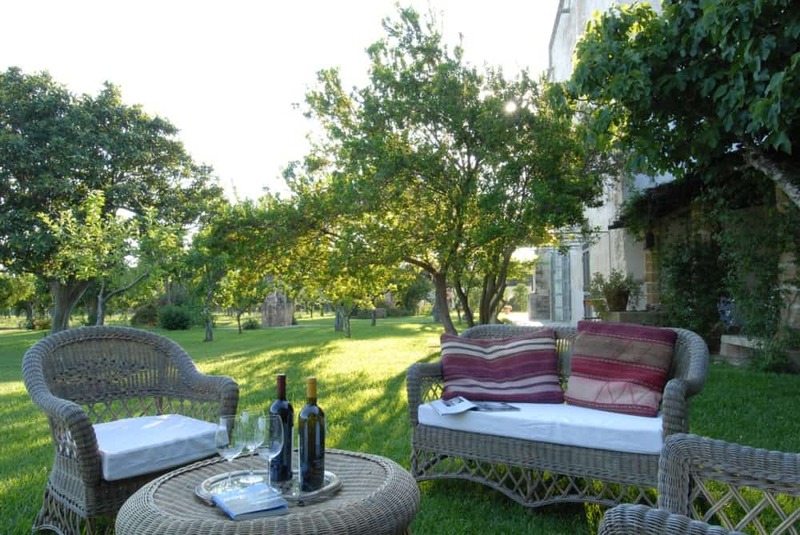 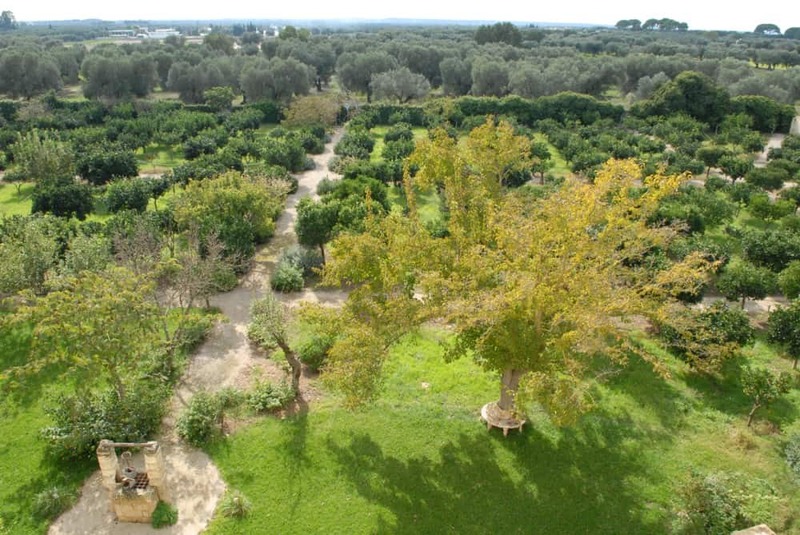 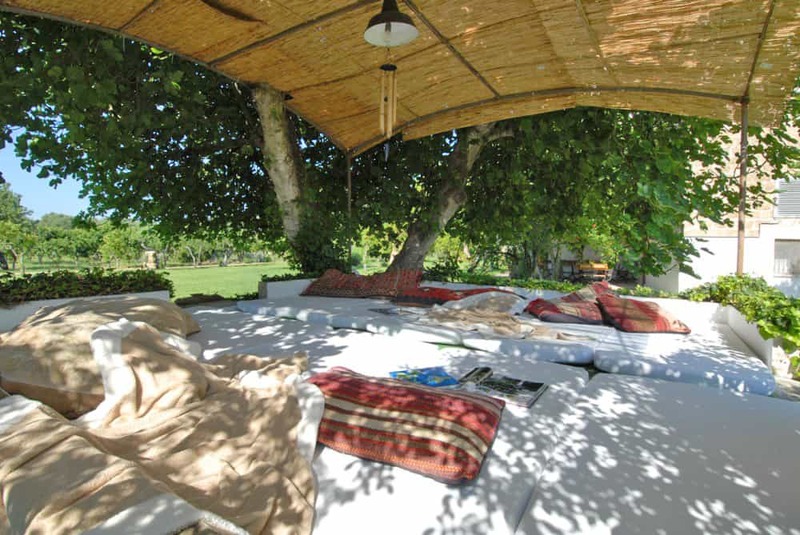 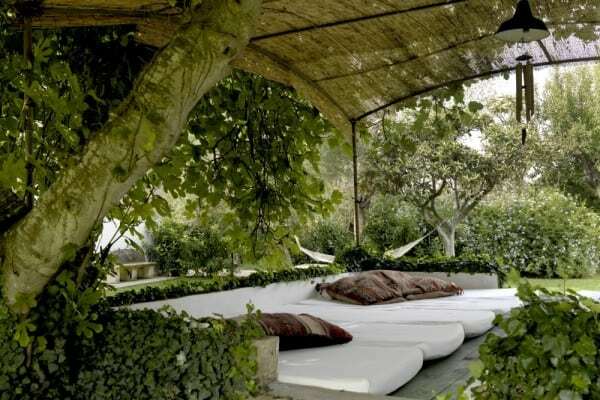 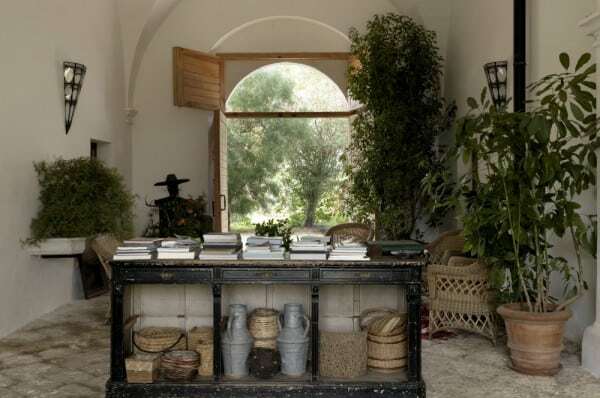 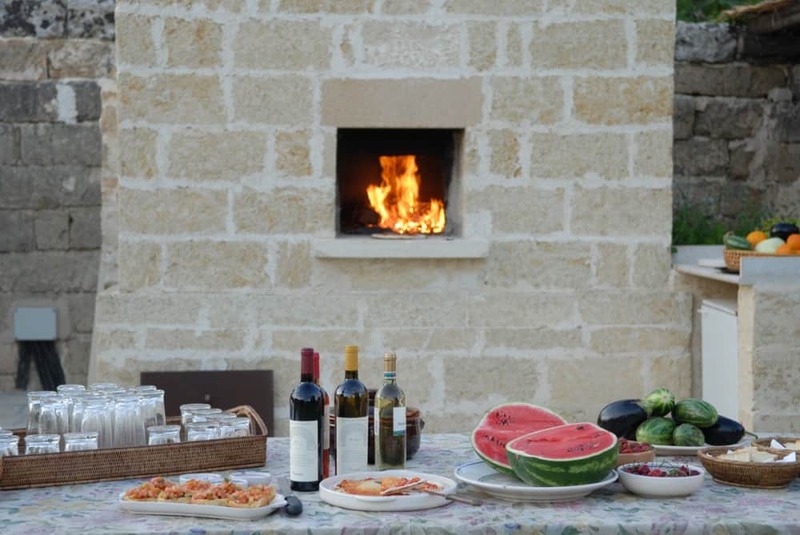 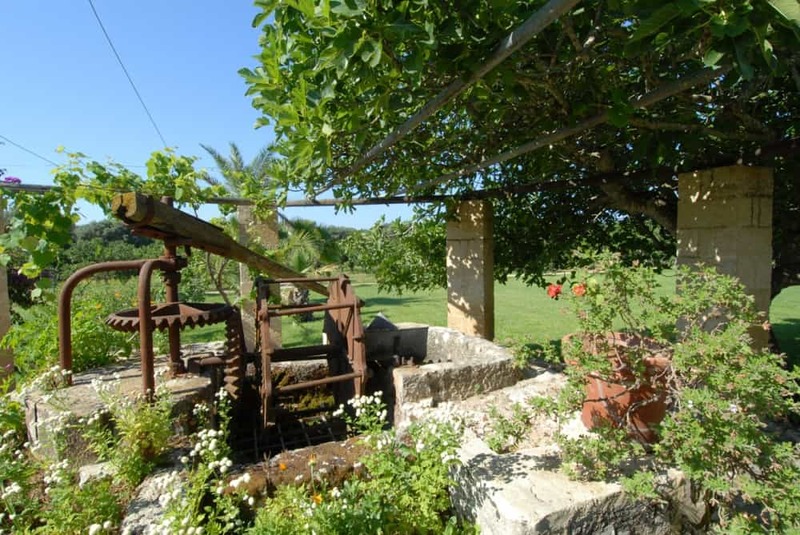 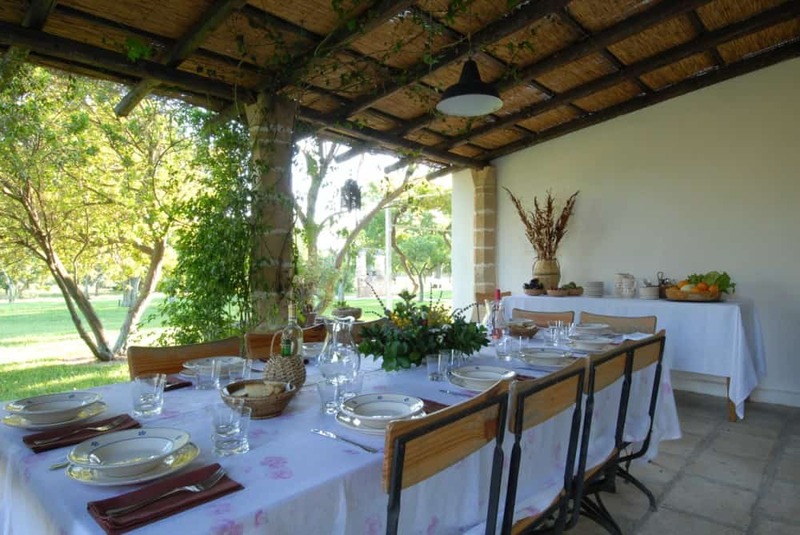 The house is surrounded by ancient stone walls, acres of garden, fruit and olive trees and plenty of outside living areas for dining and relaxation. 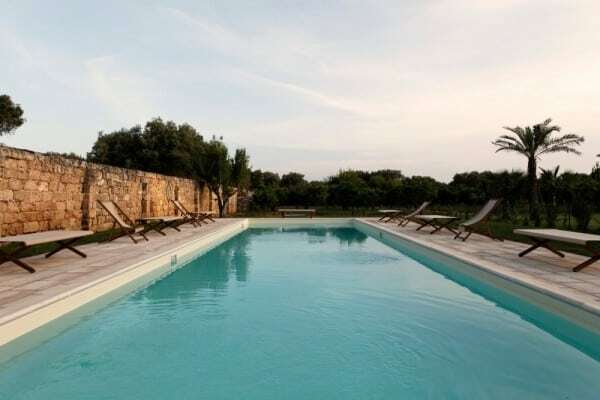 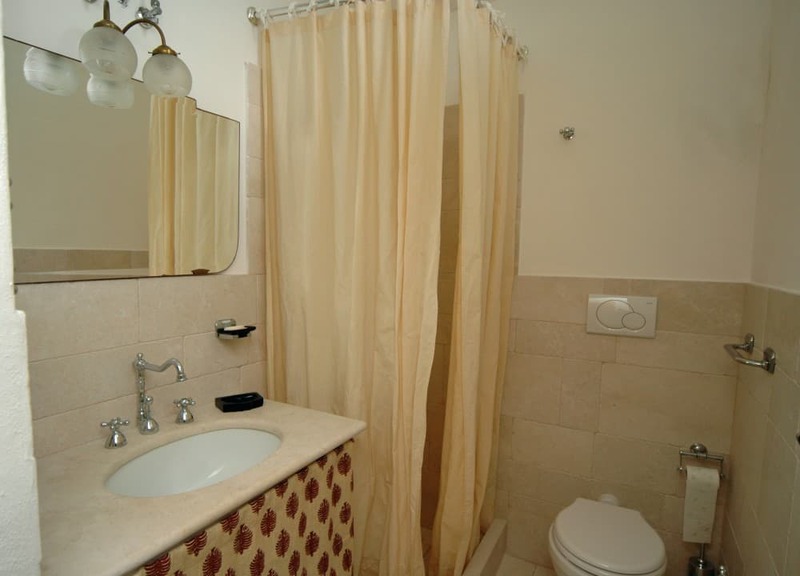 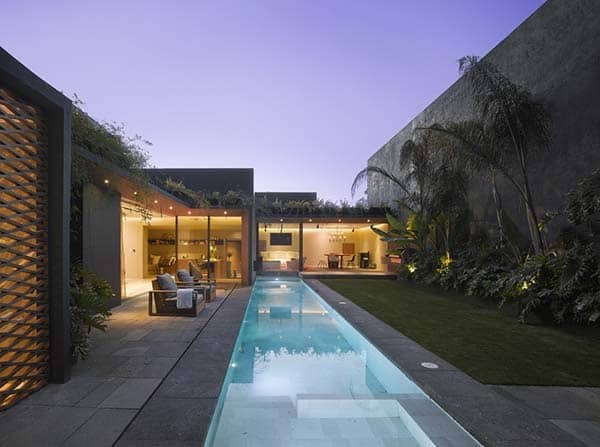 The pool, situated just beyond the original well, has a fully equipped pool house with showers. 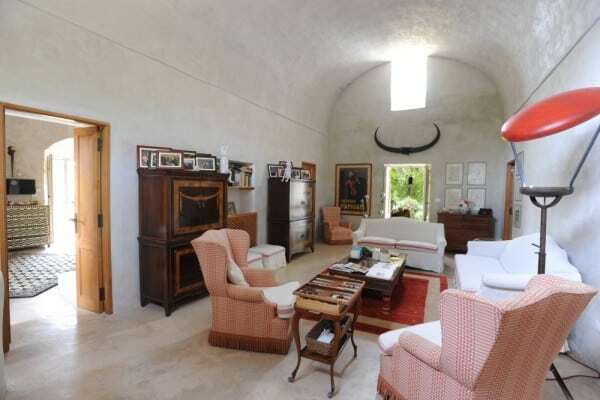 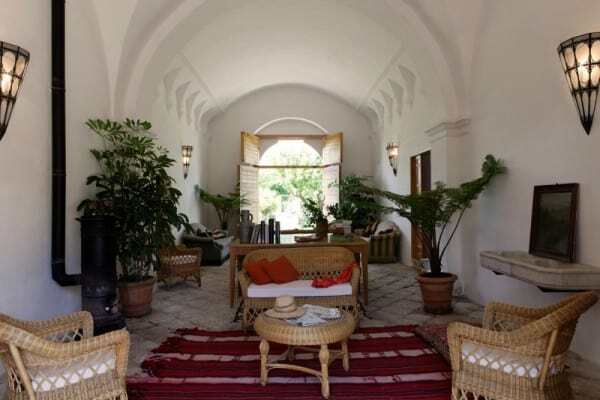 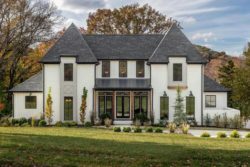 The impressive monumental arch over the main entrance leads directly to a huge, vaulted living area which continues right through the house to the garden. 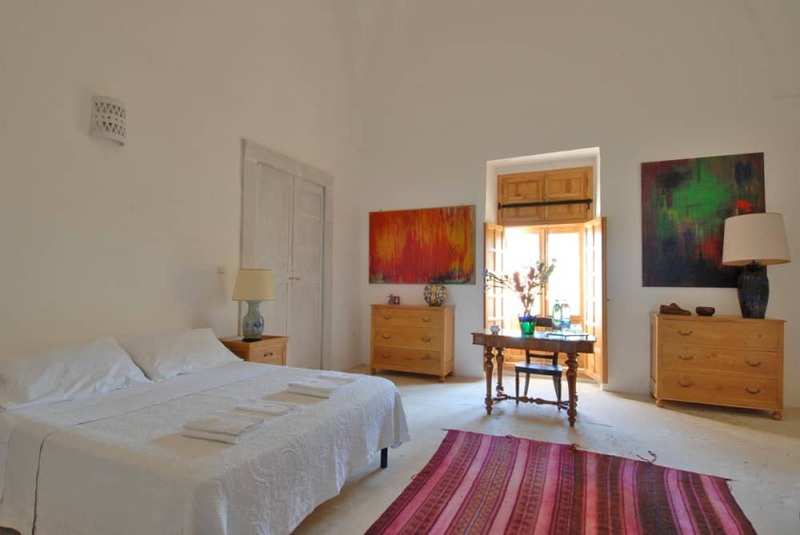 Also on the ground floor are two large bedrooms (one with a mezzanine level, and an en-suite bathroom, the other with a fireplace and a bathroom off the living area), a second living room, a huge country kitchen with open fire, a cinema room, a billiards table in the restored chapel, and a Turkish bath with relaxation room. 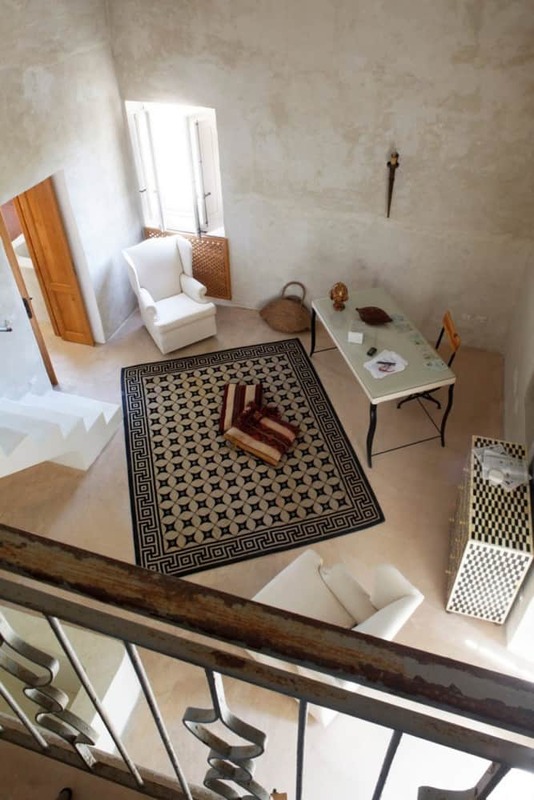 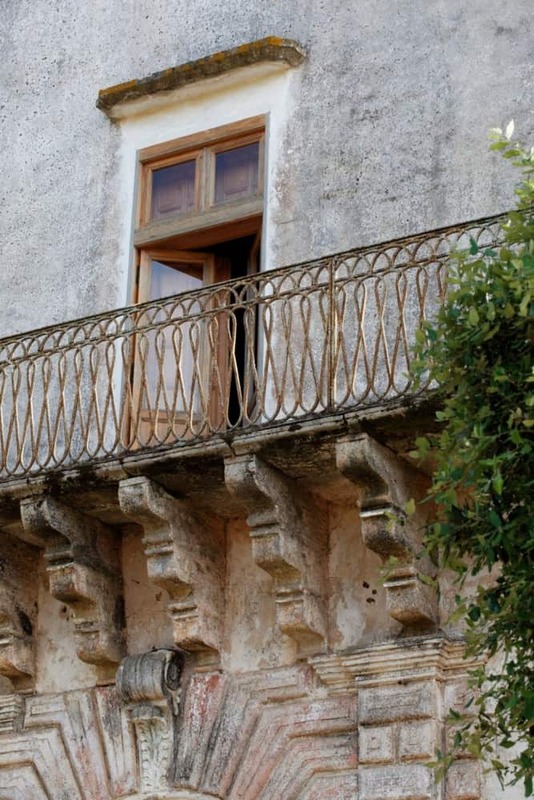 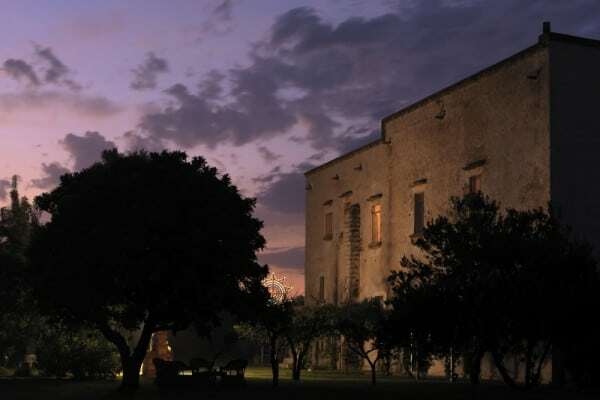 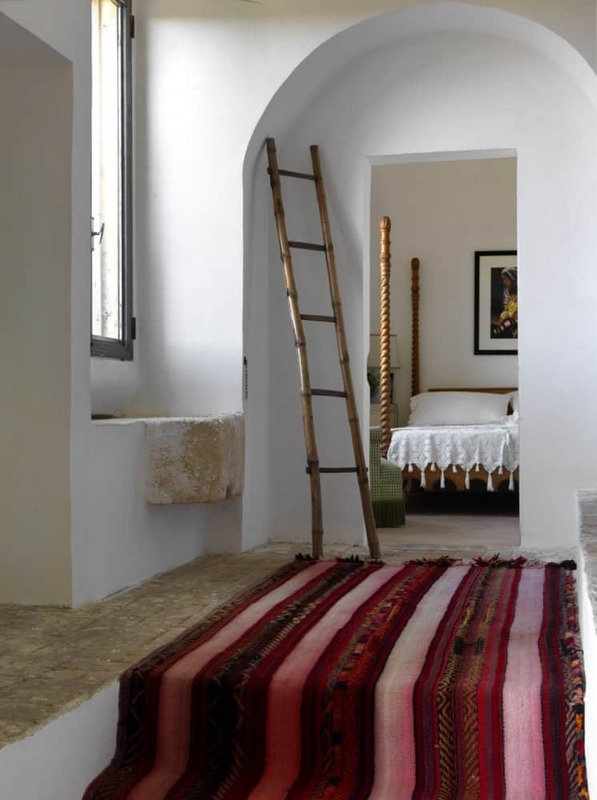 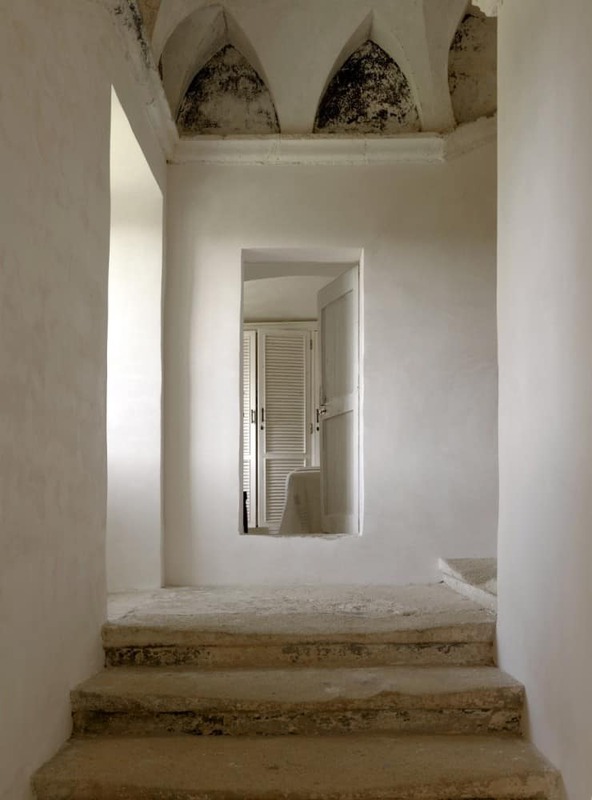 The original stone staircase, worn considerably by hundreds and thousands of footsteps over the centuries, leads first to a single room with bathroom across the staircase, then up to the “dormitory” style quad room, with en-suite bathroom and large, panoramic terrace. 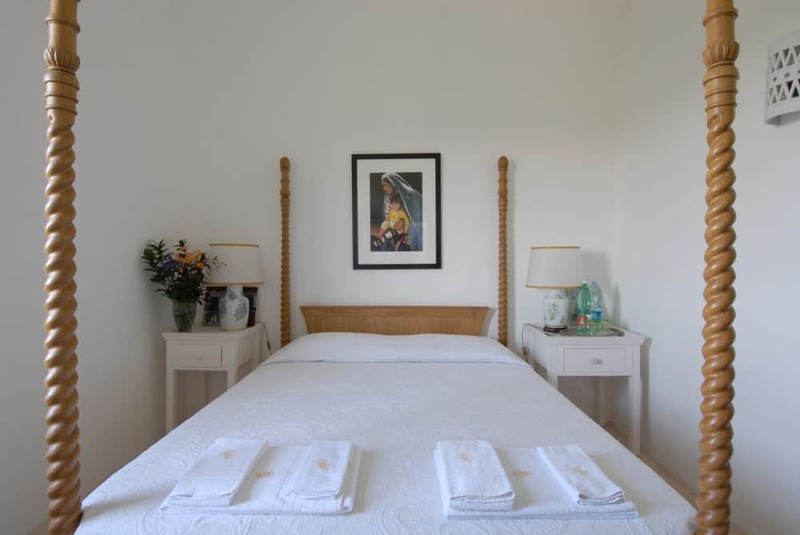 On the same level as the quad, there is a large apartment with three bedrooms, each with en-suite bathrooms, a kitchenette and a central living area. 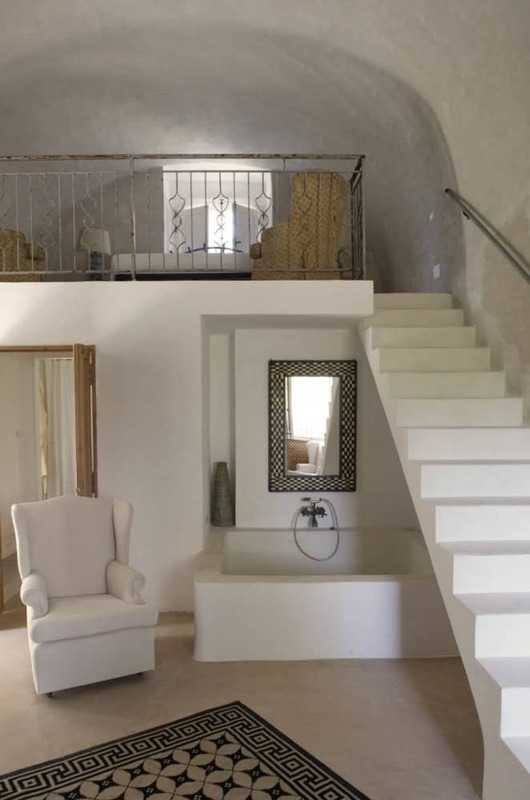 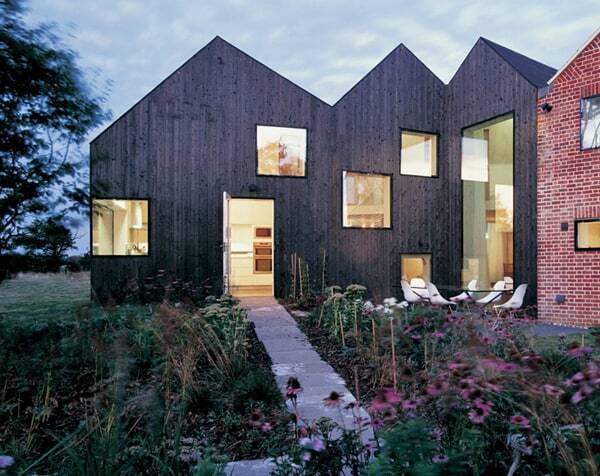 Finally, the stairs narrow and take you to a small bedroom with en-suite bathroom and, further still, to the large roof terrace with panoramic views of the surrounding countryside. 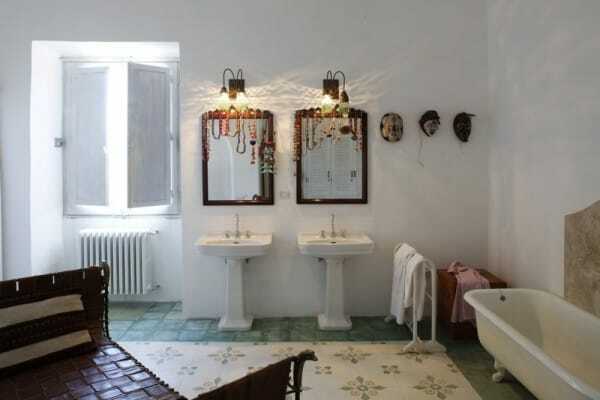 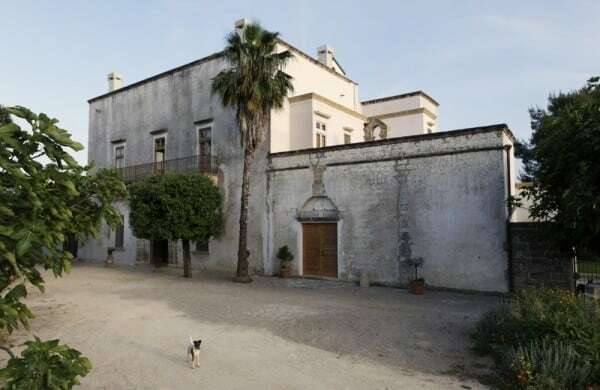 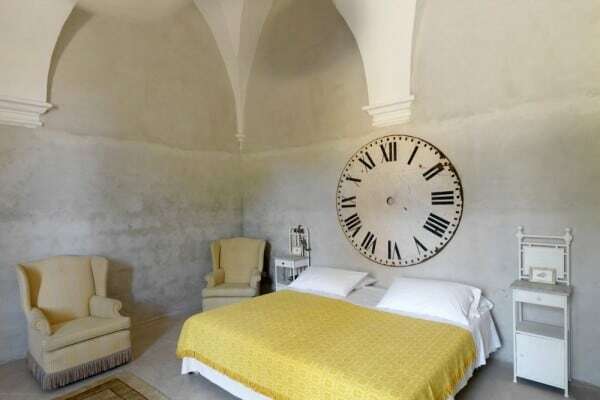 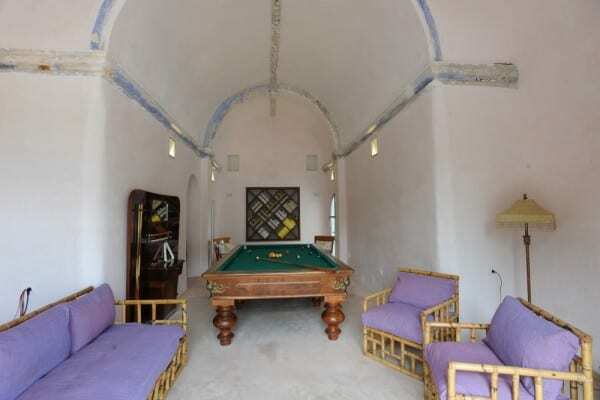 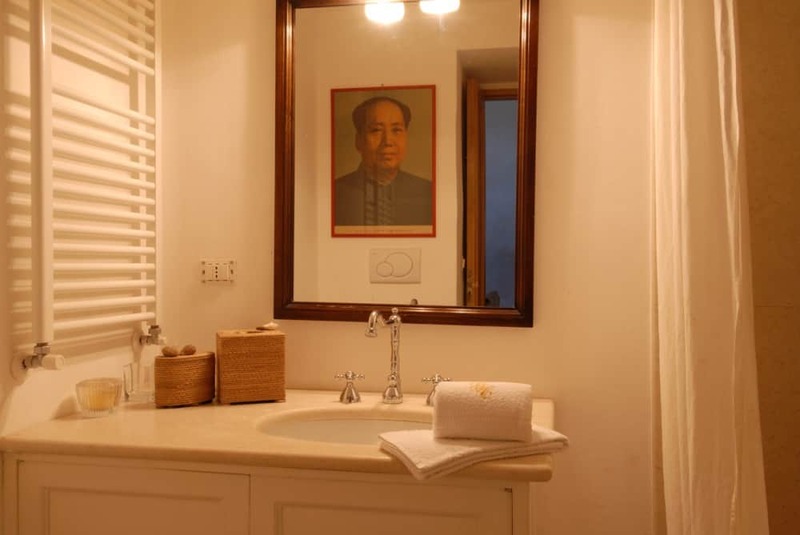 This historic villa ranges in price from $4,940 – $17,460 per week, depending on dates and sleeping accommodations, from here.